Bartels / Architecture + Landscape Design has more than 25 years of experience offering complete architectural and landscape design services. Our practice combines design excellence, technological expertise, and sensitivity to the environment; all of which we apply to meeting our clients’ needs and budget. Our projects, for private and public clients, include new construction, renovation, restoration and adaptive reuse of existing buildings; site design and landscape master planning. In addition to our residential projects, B/A+LD has completed a great variety of design work for colleges, towns, museums and commercial clients. The continuous, direct personal involvement of the principals, which our firm offers, can make an enormous difference in the quality of services provided and in the translation of initial design concepts into built reality. Thomas H. Bartels received his Master of Architecture from Cornell University while on a two-year Fulbright Scholarship, and his Diplom-Ingenieur from the Universität Dortmund. Before starting his own practice in the US, he has worked in the offices of Josef Paul Kleihues, Berlin and Busso von Busse, Munich on prominent civic and private buildings receiving critical recognition for design excellence. His work has been exhibited in the US, Germany and Italy. Thomas has taught architectural design for eight years at the School of Architecture, Rensselaer Polytechnic Institute. 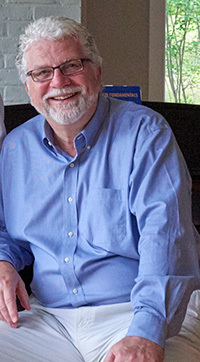 Thomas is a registered architect in Massachusetts and a Member of the American Institute of Architects. He has been a director of the Williamstown Board of Trade, president of the Williamstown Soccer Club, member of the Williamstown Historical Commission and the Community Preservation Committee. He has served on the Mount Greylock School Building Committee since 2005. Elizabeth Heekin Bartels received her Master of Landscape Architecture and Master of Regional Planning from Cornell University. She combines a strong background in design with her knowledge of horticulture and ecology. Libby excels at hands-on involvement in designing and implementing plans for planting, grading and drainage, and outdoor structures. She has written about design and landscape history for international journals and has taught at University of Virginia, Virginia Tech and Williams College. 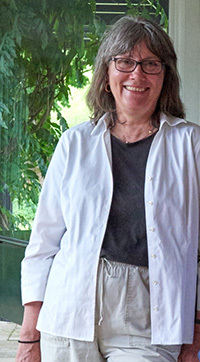 Libby is a Member of the American Society of Landscape Architects. She is a former board member of The Williamstown Rural Lands Foundation (president) and Greylock ABC. Currently, she serves on the Spruces Land Use Committee. We would like to acknowledge the following individuals who have worked at various times in our office over the years and assisted with some of the projects presented here: Brian DeVriese, Matthew Voisin, Luis Ruiz, Daniel Clowes, Michael White.